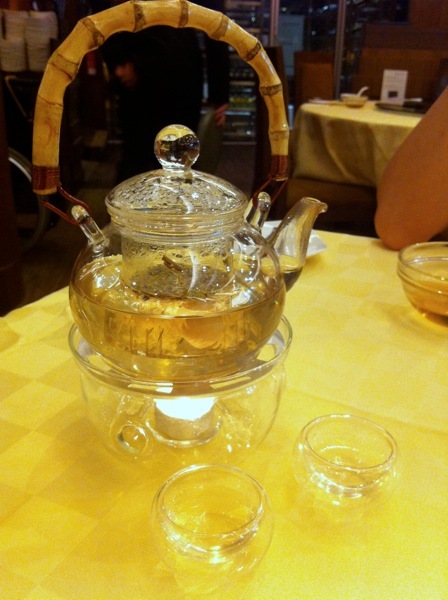 My previous trips to Paradise Dynasty at ION has been very fruitful, savoring their unique dishes and fine cooking. With such pleasant experience, I last decided to visit their Seafood outlet at our Singapore iconic location – Singapore Flyer. Back to some history, the Paradise Group started with Seafood Paradise at Defu Lane as a 25-seater zi char stall in 2002. Started by the young and enterprising Eldwin Chua with just one helper, he cooked, took orders and served a menu of well-executed original dishes to entice diners to an admittedly out of the way location. Drawing from his frequent travels in China, CEO of Paradise Group – Eldwin Chua – also started Paradise Dynasty as he was inspired by the array of food in the different provinces across China. The last trip with my family, we ordered some of the pretty standard local dishes to determine their cooking quality even on basic food ingredients. 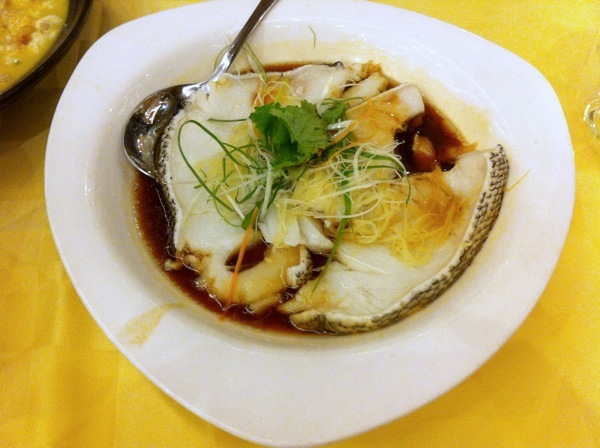 This is definitely one of the best steamed cod fish I’ve had. Total rid of any fish stinks and the steam duration was so perfect to guarantee the tenderness of the cod fish. Combined with well sliced good quality ginger strips and light flavored sauced, it definitely goes well with the children or elderly folks. Crisp on the outer layer, yet the inner tou fu is soft and tender. One of my kid’s favourite dish sprinkled with pork floss to enhance its flavour. The dish is also kept warmed with a candle-lit hotpot. 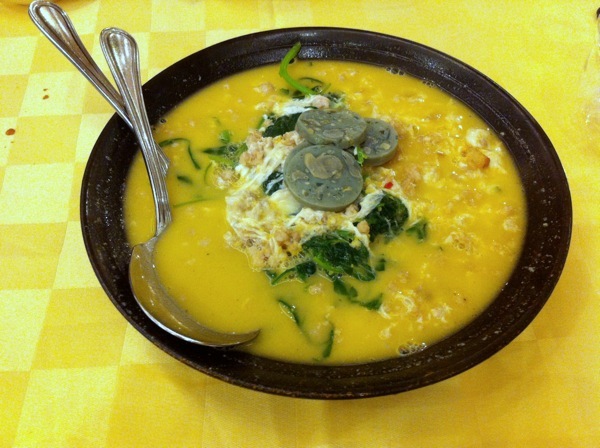 Light flavored vegetable dish though a series of eggs were used – preserved eggs and regular chicken eggs. 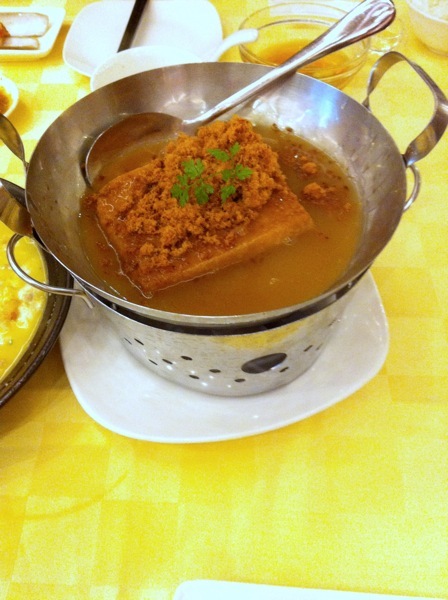 Stirred fried with whole garlic and minced pork enhances the overall flavor. It is definitely well accepted if your like to enjoy the true flavor of the spinach without being over-powered by other side ingredients. 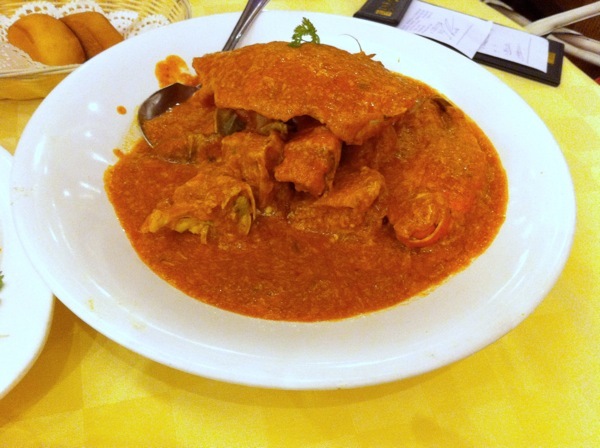 The crab were very fresh with juicy & tender meat which were easily dislodged from the hard crab shells. The only drawback is they have used slight more tomato sauce instead of the chili, possibly not to scare of the tourists. If you have a chance to visit and try this dish, do request for more spiciness if you can handle it. This is one of my favorite. Well cooked among the spicy fried small prawns and asparagus strip. Smooth and tender as if you are savoring squid. Definitely worth to consume more than a pair! 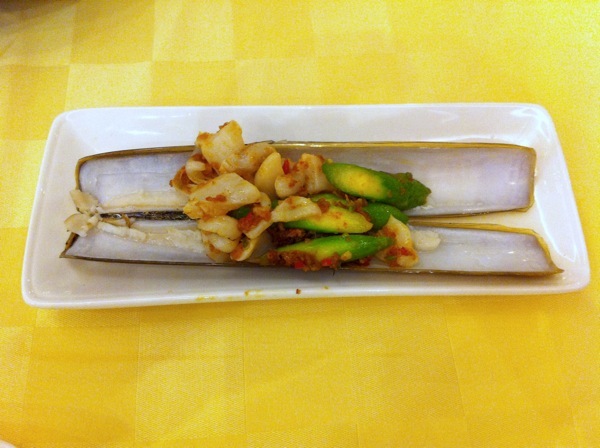 It also comes with 4 types of cooking method subjected to a minimum order of a pair of bamboo clams. Well scented Rose & Lavender tea served in small cute air insulated tea cups. A perfect enjoyment for two!